Not sure how true this is... but I heard that LSU is trying to make a strong run at 2019 pitcher Kelley Lynch who is ranked the #2 player in the entire class. She is a big time pitcher recruit. She plays for Georgia Impact Lewis. Two LSU signees are/were on that team (Cummins and Stewart). She has been committed to Auburn for some time.... but she did it when Meyers was there. 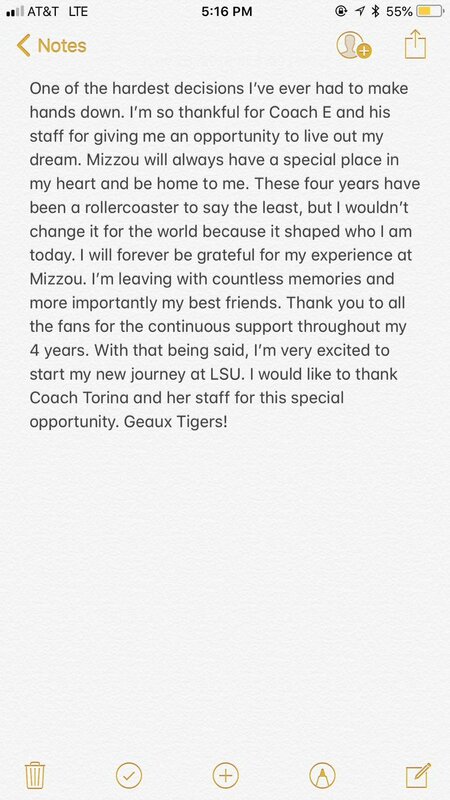 I suppose it makes a lot of sense considering I doubt Taylor Edwards will ever be pitching for LSU. 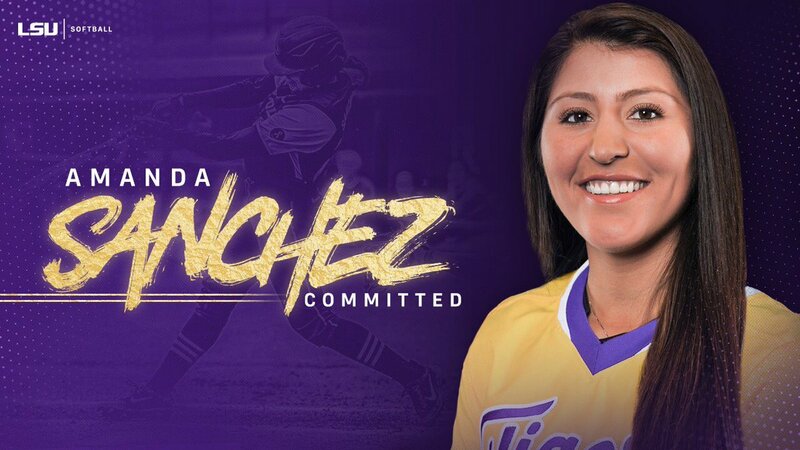 If she comes to LSU she will be a walk on with Tops Money. That would be a gigantic pull!! You typically don't see people go after other commits but with these rule changes that definitely will change. Raleen Gutierrez hit some shots to deep center field that stopped just short of clearing the wall. 357 is there any indication that Lynch could be looking or receptive to listing to Beth? Number 2 pitcher being coached by the number 1 pitching coach. That could work. I am not very familiar with her situation. Those close to her say she seems pretty sold on Auburn. She loves the university! I do think Beth is trying to get a top pitcher if she can for the 2019 class. Can't hurt to try right? All I know is we were still out heavily considering and recruiting pitcher prospects. Taylor Edwards was suppose to be our pitcher for this class but as of now it looks very bleak. I don't see a future with how it looks and based on her recent progress. Usually Beth likes to take at least one pitcher per class. Serious question, are there two of you posting under your username? You sound so objective, informed, and rational in your softball posts. Then, when it comes to football, over-emotional, not objective at all, and low intellect. What gives? Anybody know anything about the Catcher from Iota ? Seen she made All American on extrainnings this year as a freshman. Are we in the mix for her ? I would think since she is a Louisiana native she would be interested in LSU. She does play for the Thunderbolts 03 team and Torina is really close with a coach over there.